We teach children in Kindergarten through 8th grade about the joys (and responsibilities) of using technology, because as helpful and enjoyable as technology can be, there are some risks that accompany this ever-changing field. We would like to talk to you about digital citizenship, technology guidelines, and what they mean for you and your children. 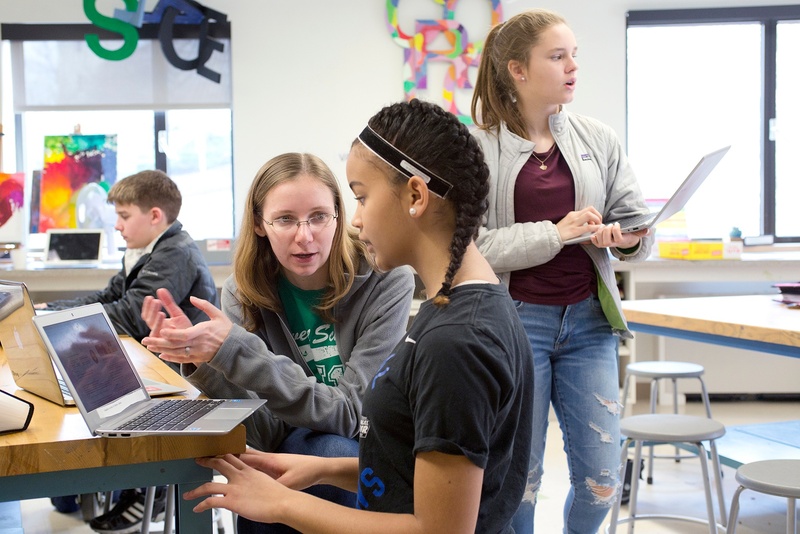 At Lowell, we have many resources to guide us, and two of our favorites are the Common Sense Media website and the ISTE standards. Listed below are some important topics that offer a structure for creating family guidelines and framing conversations between you and your children. One of the most important conversations you can have with your children will be about internet safety. While most social media sites seem geared toward all ages, in fact, the minimum age a child can legally create an account for Snapchat, Facebook, Instagram, and YouTube is 13. These conditions are regulated by The Children's Online Privacy Protection Act (COPPA). Your children will undoubtedly tread the waters of social media in the not so distant future. Here are some guidelines that we follow in working with students in elementary and middle school that can also be applied at home. If and when you do set up an account for your children, please be sure to read the “fine print” on the Terms of Service as these typically wave your rights for accountability. Talk to your children about how they can protect their online privacy. We recognize that our students may have an online presence, so we advise them that their online friends should only be friends they have met in person. We also recommend that students make sure their privacy settings are such that only their friends can see their posts, rather than the entire world. In addition, we stress the importance of managing passwords (computer, wifi, phones, and tablets) to keep information private. Know the passwords to your children’s accounts. This way you can log in to make sure you recognize everyone they interact with and make sure the privacy settings are such that they are sharing information appropriately. Being aware of our digital footprint is knowing that whenever we connect to the Internet, every activity is traceable. We explain to students that everything they post online could remain online forever. There is no eraser on the Internet, and future schools and bosses will be checking their digital footprint (including compromising photos). This is a difficult concept for children to wrap their minds around, which is why, as parents and educators, it is so important that we stress the urgency of good judgment. As a parent, you can continue this conversation at home, stressing the permanency of the Internet. You cannot have this conversation often enough. Being a part of an online environment can provide a false sense of security, especially when anonymity is involved. It is easy to misinterpret a text or message, even when the sender is known and trusted. Encourage your children to share with you situations in which their feelings might have been hurt (or they may have been the cause of hurt feelings) when using technology. Allow them to share their feelings and acknowledge them. Guide them to think about actions and repercussions that can occur, whether intended or not. If they are the cause of hurt feelings, encourage them to practice empathy or to visualize how the other individual might feel. One rule of thumb we use: If you would not say it in person, don’t say it online. Bullying used to be about taking lunch money on the playground, but the Internet offers many more options for bullying. It’s much easier to say something mean to another from afar than to someone’s face. Additionally, the anonymity that many accounts offer virtually guarantees bullying can not easily be traced. This is the advice we give students: Stop (do not engage with the bully; they want to get under your skin), Block (to prevent further contact), Tell (an adult). Talk to your children about their online experiences, even when there isn’t a problem. Ask your children what websites they visit, what games they play, and what social media platforms they are using. Reinforce positive use. You may even find opportunities to bond over shared interests or a funny video, and regular, low-stakes conversations make it easier to broach the tougher ones. Read more about engaging young children and teens and tweens through technology-related conversations. Place the computer your children use in a common area, and/or regularly monitor any phone or tablet use. If your children are using a social media platform, monitor the posts on a routine basis. It is prudent to find out if your children are behaving in a respectful manner online (as you would offline). An online identity should always reflect a child’s best, positive self. Know that children can create an online persona that is different from their real identity. Some sites will allow younger users to create online personas so that their real identity is protected, so this might not be a negative. This could be useful for a cooking blog, a blog on fashion, or one on Lego building. Students learn how to find information through searching. Once upon a time, we only had libraries for information, and every book you got your hands on was vetted. We now live in the era of fake news, and not everything a student reads will be true. The Tech team and the Lowell librarians teach students how to discern fact from fiction on the Internet, although there’s no foolproof way. We must all do research and find out what other websites say about a suspicious website. As a parent, you can stress the importance of using proper sites for research needs. One tip is to look at the end of the web address. Typically, a “.edu,” “.gov,” or “.net” site will provide a reliable source, though this is not always the case. Websites and their URLs (Uniform Resource Locator, a protocol for specifying addresses on the Internet) should be individually evaluated. 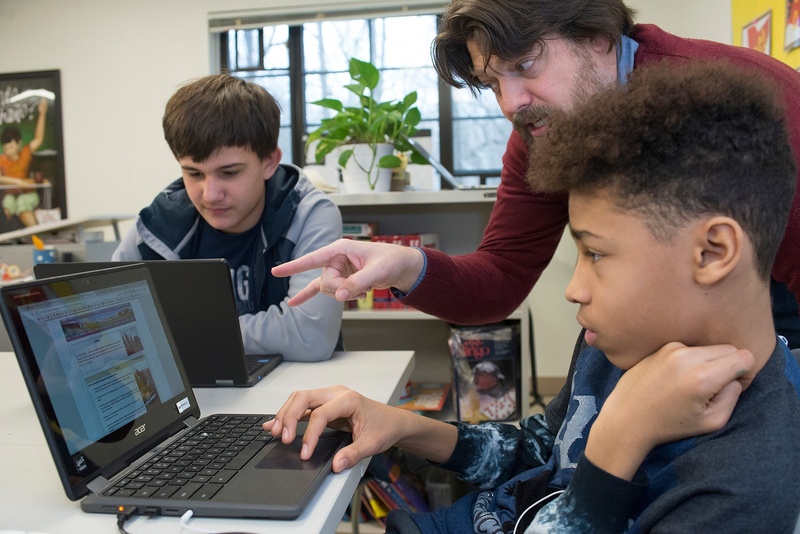 Students at Lowell are taught from an early age to master paraphrasing and to avoid plagiarizing during humanities classes, library time, or tech time. In the Middle School, we watch this film, which is fun and introduces terms like “fair use” and “public domain.” A good time to reinforce these values at home is during homework time. A student is never too young to understand the idea behind “copyright” and taking someone’s else’s ideas for their own. You know the term “generation gap,” and you are probably also aware of the “digital generation gap.” Young people will likely always be more tech savvy than their parents. There is much parents can do to involve themselves in the digital world of their children. It takes time, but you will spend a lot of time helping them learn to navigate a car, so it’s worth the investment to help them navigate the digital world as well!